Mr. Phung Anh Tuan, CEO of F88 Business JSC, discusses plans for the company to become the leading provider of professional pawn services in Vietnam with VET. F88 Business JSC has established itself as a leading provider of professional pawn services in Hanoi since 2013 and in January last year Mekong Capital announced that the Mekong Enterprise Fund III had completed an investment in the company. Why did you decide to launch pawn services? Personal credit for consumption and business is a huge market and still has potential to grow. It is growing very quickly, at up to 25 per cent per year. It can be difficult for many people to access bank loans, and traditional sub-standard models such as pawning and black credit have many shortcomings and social implications. This presented an opportunity to us and no one has done what we have done. With this model we can expand our scale to thousands of stores in the future. Turning F88 into a chain of collateral lenders, providing financial services to customers conveniently, quickly and reliably is our strategic target in the time to come. What can you tell us about F88’s business performance? We restructured and consolidated the company in 2016 and in 2017 began to expand quickly. We are now basically on schedule, promoting the business and expanding our store numbers in Hanoi. F88 now serves about 30,000 regular customers. We plan to sign about 100,000 loan contracts this year totaling around VND1 trillion ($42.8 million). What advantages does F88 possess? Our advantage is that we have companions that share our determination. We all wish to reach our strategic vision. All consider investing into F88 an attractive proposition and are betting on our success. We have built a very clear business strategy and developed a strong team and successful formula. What challenges are there in the market? It’s difficult and time-consuming initially to create a new business model and have customers understand the benefits of this type of service and change their preconceptions. What is your plan for F88’s development in the time to come? We will open our first store in Ho Chi Minh City in the fourth quarter of this year and in 2019 will cover city. Our goal to 2021 is to become the leading pawn service company in Vietnam, with 300 stores. After this, we will proceed to open thousands of pawn shops in the country to provide a wide range of financial services. Having received investment from Mekong Capital, does the company intend to raise further funding in the future? We have just completed fund raising and are in the process of completing investment procedures. We will disclose specific information shortly. The purpose of this fund raising is to rapidly expand the number of F88 stores in the future. As a millennial entrepreneur, what do you think are the strengths and weaknesses of this generation? Young entrepreneurs are more open-minded than previous generations, and have plentiful opportunities to interact with new knowledge and technology through the internet and exchange opportunities with foreign businesspeople. They can easily implement their business ideas. A weakness is that some lack perseverance and attention to detail in building and developing their business. If they can overcome these, the opportunities are substantial. What are the opportunities and challenges for young entrepreneurs in Vietnam during Industry 4.0 and global economic integration? We are playing in a global game and access technological achievements around the world, which is an opportunity for young entrepreneurs to promote and develop Vietnam’s economy. Conversely, we also cope with unavoidable challenges. One challenge is that we must obey the rules of the game. If we do not innovate quickly we will not understand the rules of the global game, we will lag behind and find it difficult to catch up to foreign companies. Starting business during his first year at university, Phung Anh Tuan and some friends created the Vietnam Security Center (VSEC) under the Center for Development of Science and Technology and Young Talents - Central Ho Chi Minh Communist Youth Union. From a network security expert, Mr. Tuan transformed into a successful and talented CEO. He does something that many young people still fear: live by his own ability. With determination to change social prejudice towards the pawn shop industry in Vietnam, Mr. Tuan established F88 in 2013. In 2016, he officially launched F88 Business Joint Stock Company with the first pawn shop chain model in Vietnam and set the criteria of TRUSTWORTHY, FAST and FRIENDLY”. F88 operates under the model of a nationwide pawn shop network offering a wide range of loans backed by collateral such as automobiles, motorbikes, mobile phones, laptops, watches, and motorbike registration papers. It has developed rapidly in the north of Vietnam, with initial charter capital of over VND49.1 billion ($2.1 million), which increased three-fold in the beginning of 2018 to VND153 billion ($6.5 million). 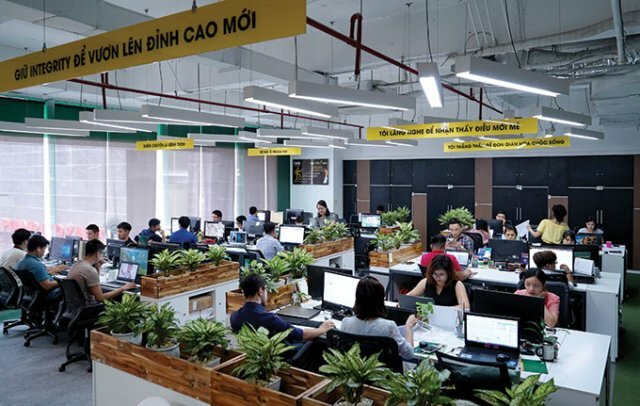 F88 now has 42 outlets in Hanoi and major cities in the north such as Hai Phong as well as in Bac Ninh, Bac Giang, Thanh Hoa and Vinh Phuc provinces. Mekong Capital announced on January 10, 2017 that the Mekong Enterprise Fund III has completed an investment in the F88 Investment JSC. “We are very proud and excited that F88 is the third investment we’ve announced for MEF III,” said Mr. Chris Freund, Partner of Mekong Capital. “F88’s competitive edge is its entrepreneurial co-founders, professional management team, IT infrastructure, and strong corporate governance.” He also explained that MEF III has invested in F88 at this time because it pioneered the professionalization of pawn services in Vietnam, bringing fast, reliable and professional financial solutions to consumers.